In search for a new lunch box idea? This one is a breeze! Only 3 ingredients and just different enough to keep the kids happy. This little recipe came about one day when I had too many ripe bananas in the house. Never one to want to waste food, this ended up being a win win. 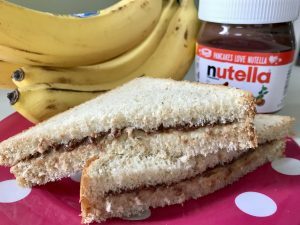 Before I’ve often packed a peanut butter and banana sandwich but my daughter would complain the bananas always slid out when she would take a bite. My tip for this one is to use ripe bananas and to mash them in a bowl before spreading them on the bread. 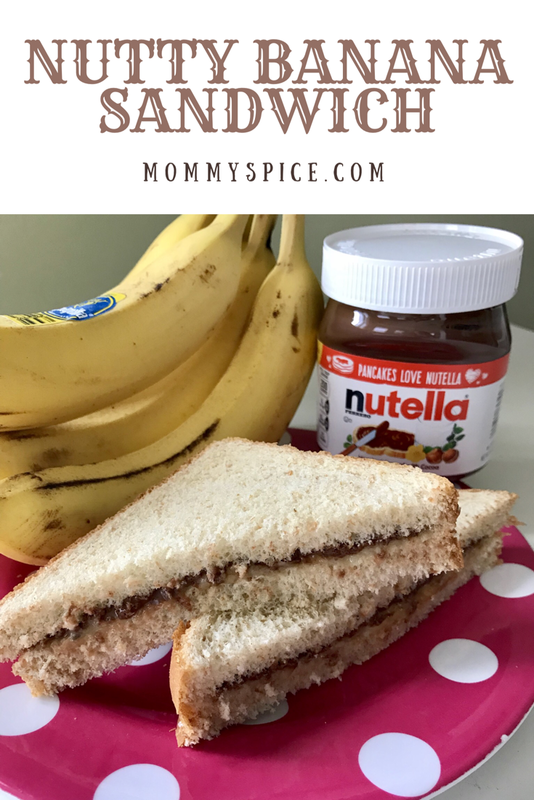 No more slippery banana sandwich! Mash your ripe banana in a bowl, then spread desired amount on one piece of bread. 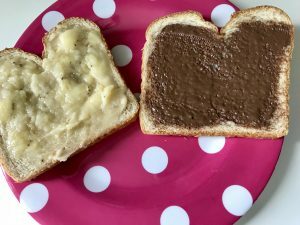 Take the second piece of bread and spread Nutella. Place sandwich pieces together and voila. Either eat immediately or pack in the lunch box for later. If you’re looking to add a little texture, you can add a layer of sliced almonds or chopped peanuts in the middle of the sandwich. 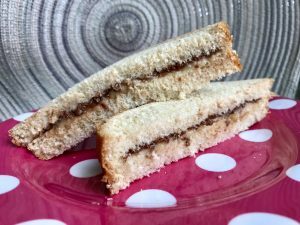 This sandwich comes together in 2 minutes which is perfect for those mornings when someone oversleeps or you’re in a rush.